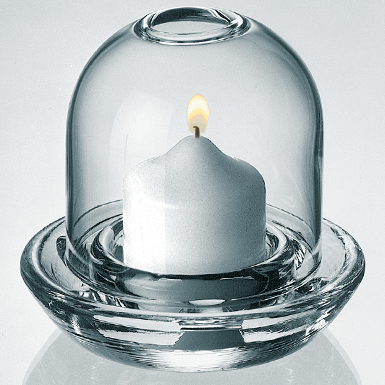 A special base with a lovely, hand-blown Cloche which keeps the candle alight even in strong wind. The candle is always supplied and can be individually ordered from us again. Hand-poured into the mould. Cloche mouth-blown.